CORNISH, ME (May 15, 2018) — AC&E Education today announced the launch of a new media platform, Accessibility, Compliance, and Equity in Education (AC&E). The digital publication and website will provide the pre-K–20 market with concrete information and practical resources written by education and industry experts. The quarterly digital publication will launch during the first week of June and will serve decision-makers including curriculum directors, EdTech directors, superintendents, school district cabinets, educational service agencies, special education professionals, principals, and others in the profession involved specifically involved in working towards accessibility, compliance, and equity. At the same time, Jacobs, Host of Education Talk Radio for more than 7 years, was noticing that recent shows on accessibility were getting an unusually high listenership and engendering communications from districts on where they could find the right information and the resources they needed. Over a series of conversations with education leaders, it became evident that the crisis of information represented a huge gap in the market for both school districts and the industry, so AC&E enlisted the aid of some of the nation’s top education associations to be sure the entire market was covered, including AASA, AESA, ASCA, AIR, ASCD, CASE, CAST, CCSSO, CEC, CoSN, ILA, Magnet Schools of America, NBPTS, NSPRA, SETDA, and UDL-IRN. Those associations also recognized the challenge, and agreed to help create a pathway to these vitally needed resources by making the website and digital publication available for their members. Through the joint efforts of the education community, a national audience of education leaders will have access to this critical information. Education and industry experts who would like to submit articles for publication, and companies and organizations who would like to make their resources available to districts, independent schools, and higher education institutions can contact Publisher Larry Jacobs. Complimentary subscriptions are available on the website. Larry Jacobs and the AC&E team are education media professionals who are passionate about creating equitable access for more than 50 million school-age children and 20 million college and university students in the United States. School districts, independent schools and higher education institutions are under tremendous pressure to meet accessibility requirements and create equity for their learners. AC&E is a resource to help them identify and secure the resources they need in this critical area. 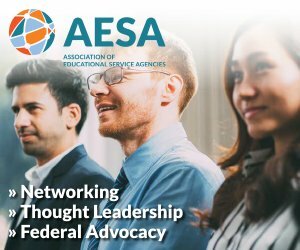 AC&E is working with some of America’s finest education associations to help share this information, including: AASA, AESA, ASCA, AIR, ASCD, CASE, CAST, CCSSO, CEC, CoSN, ILA, Magnet Schools of America, NBPTS, NSPRA, SETDA, and UDL-IRN. To learn more, please visit ACE-ED.org.